To say Porsche had a great 2015 would be a massive understatement. 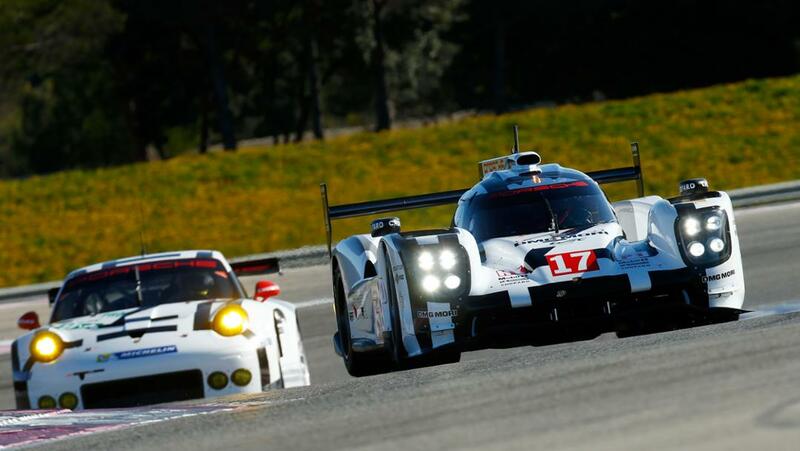 The 919 Hybrid dominated the World Endurance Championship’s LMP1 class. Leading 77% of the laps run (1332 Laps) on their way to the Both the Driver and Manufacturer Championships. The 911 RSR won Driver and Manufacturer Championships in GTE Pro (WEC) and GT Le Mans (IMSA). Oh, and they won overall at this little race in France called the 24 Hours of Le Mans. 2016 will see Porsche return with full factory backed efforts to defend its titles in LMP1 and IMSA. However a full factory effort with Porsche Team Manthey in GTE Pro will not be happening. To help fill the void, Porsche will be supporting Proton Competition in GTE-Pro next season. Porsche would be provide support and 2 Works Drivers. 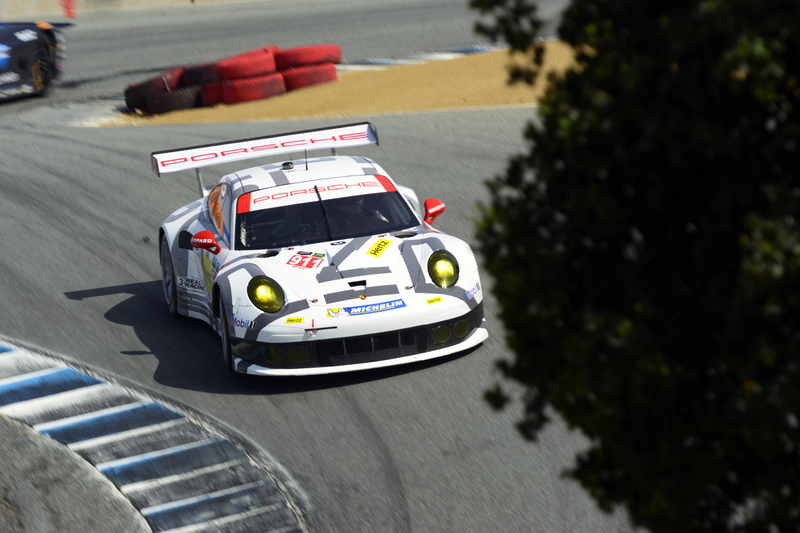 Porsche would not confirm or deny but admitted they are looking at GTE Pro options for 2016. The exact reasoning behind the decision not to compete with a full factory effort is believed to be based on multiple factors. First, the ongoing financial crisis surrounding Volkswagen Auto Group’s diesel emissions scandal. Second, Porsche launched a brand new 911 GT3 R. GT3 is the world’s most popular GT class. Porsche’s rivals from Audi and BMW have revealed newer, faster cars. 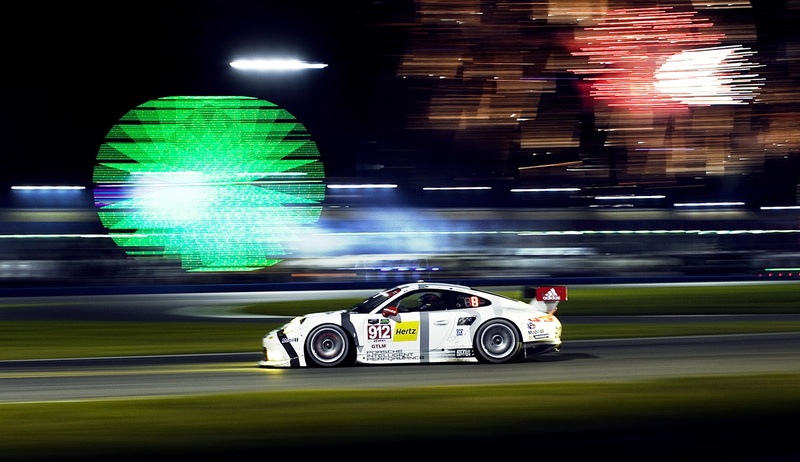 To keep up Porsche needed to devote considerable time and resources to the GT3 R’s development. Lastly, Porsche recently announced they are developing the 911 RSR’s replacement. The new car’s was shrouded in mystery. Rumors started surfacing about a possible mid engine platform. This got all the internet speculators humming. Would it be a mid engine 911? Something similar to the old turbocharged beast GT1? Would it be a baby 918 or would it be something completely different. Some of that was put to bed when Porsche announced its plans for 2017. Head of Porsche Motorsport Dr. Frank-Steffen Walliser told SportsCar365 a brand new 911 RSR has been under development for the past 6 months. The new RSR is believed to very different under the classic 911 bodywork. The engine is believed to be a turbocharged flat 6 from the Carrera model range. No confirmation has been made on the placement of the engine. However, Porsche has proposed a mid engine concept to the FIA. Given that there is no production mid engine 911 planned at this time Porsche would need technical waivers to use the more balanced layout. I’m not entirely sure how I feel about this. If you give me 2 options, no Porsche GT car or a mid engine 911, I’ll take the mid engine 911 option. However, a mid engine Porsche 911? The whole point of a 911 is the engine hanging out the back. It’s what makes a 911 a 911. It’s not the best placement but thanks to German stubbornness and genius they made it work and work brilliantly. I’m not sure if putting the engine in the middle is worth it. Call me old-fashioned but It’s not a 911 anymore. It’s some kind of Franken-car. If Porsche felt it had to go the mid engine route I would have preferred a less expensive non hybrid version of Porsche’s 918 hyper car. If breaking with tradition wasn’t enough, I don’t like the waiver requirement. I’m already not a huge fan of sanctioning bodies constantly updating the Balance of Performance (BoP) mid-season. Some heavy-handed BoP adjustments can, through no fault of their own, completely alter a team’s season. Issuing a waiver like this may set a bad precedent. It’s one thing to issue waivers for engine displacement or wing sizes. Little things to allow a larger and more diverse group of cars. Example, the most recent GTE Viper received a waiver for exceeding the maximum engine size. It is a completely different thing to drastically change a car’s DNA. I think if Porsche wants to race a mid engine 911 then they should be required to build a certain number production road going versions. But I say again. This whole situation has me torn. While I may not be a large fan of the waivers required, a new Porsche race car is always cause for celebration and I look forward to seeing whatever they come up with on the racetrack. Who knows, maybe it will lead to the development of a super mid engine road going 911.